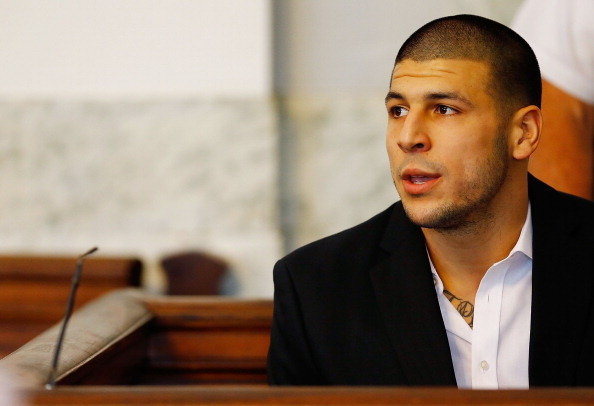 It's hard to feel much beyond sadness about the entire Aaron Hernandez saga. Less than a week after being acquitted of a 2012 double murder, former Patriots tight end Aaron Hernandez has killed himself at age 27, according to multiple reports. In 2015, Hernandez was sentenced to life in prison for the 2013 shooting of Odin Lloyd. According to a Department of Correction statement tweeted by ESPN’s Adam Schefter, Hernandez hanged himself with a bed sheet he attached to his cell window early Wednesday morning. The timing of Hernandez’s suicide is a bit surprising given that just last week he was acquitted of all charges in a double-murder when a conviction would have likely ended all hope of him getting out of prison. Of course, we can’t know what was going through Hernandez’s head when he decided to end his life. Hernandez and his lawyers were appealing the 2015 conviction, for which he was sentenced to life without parole. It’s hard to feel much beyond sadness at the entire Aaron Hernandez saga. What should have been a memorable NFL career has instead become an all-out tragedy. Now four people are dead, including Hernandez, and a little girl is left without her father. Wednesday was the latest dark turn in a life over-stuffed with them.